I try not to use this space to promote specific products. But when I come across new ingredients that actually have solid clinical research behind them, I want you to be the first to hear about them. Especially when they can make your life easier–and healthier. So let me get right to the details. This potential new breakthrough is a spinach extract. (Yes… spinach.) And the latest clinical trial on this new ingredient delivered some pretty impressive results in the weight loss department. According to this trial, spinach extract can sideline cravings for sweets thanks to active constituents called thylakoids. It appears as though thylakoids can slow fat digestion and help your body generate more key appetite-suppressing hormones. In particular, the researchers tracked changes to glucagon-like peptide-1 (GLP-1) in this study. Research suggests GLP-1 slows carbohydrate absorption. This was a three-month weight loss study featuring 36 overweight middle-aged women. On the first and last days of the study, researchers measured blood sugar, insulin levels, and GLP-1 in the six-hour period following breakfast. They also assessed subjects’ cravings for sweet, fatty, and salty food throughout the day. The spinach extract was able to beat back sugar cravings significantly after the very first dose. The effect lasted throughout the day, too. And it got stronger over the course of the study. The researchers concluded that craving control is directly linked to GLP-1 release. And thylakoids can help facilitate it by slowing down your body’s digestive process in the hours following a meal. In other words, this spinach extract wipes out sugar cravings using your body’s own natural hunger-suppressing hormones. And honestly, weight loss doesn’t get any safer or more effective than that. And it’s worth noting that the company behind this breakthrough has designed all of their research according to the strict standards of the European Food Safety Authority (EFSA). They didn’t cut any corners. And they’re hoping this due diligence will help them win approval to market a branded version of this spinach extract for weight loss, weight maintenance, and appetite suppression in the EU. Which, honestly, is the kind of thing that all nutritional supplement manufacturers need to be doing. Unfortunately, this product isn’t available to consumers in Europe or here stateside just yet. Though with this kind of impressive research supporting it, I’m sure you won’t have to wait too long. But I’ll be keeping my eye on this new ingredient. And as soon as it’s available, I’ll be sure to let you know. In the meantime, you can’t go wrong getting your thylakoids the old fashioned way. Just eat more spinach. Glutamine is an amino acid. It provides energy to your muscles and your brain. And it regulates a number of biological functions, including the synthesis of protein, vitamin B3, and the antioxidant glutathione. It’s also a world-class craving killer, for a few different reasons. It also stimulates your body to release stored glucose (called glycogen) in order to get low blood sugar back on track. And finally, glutamine is able to stand in for sugar itself when your body really needs the energy. In a nutshell, glutamine ensures that your blood sugar never gets low enough that your body hits the panic button. That’s why I recommend glutamine to all my dieting patients–500 mg, three times a day, and whenever you get the urge to grab a cookie or candy bar. It takes the edge off just enough to help you say “no” when those irresistible sugar cravings hit. Searby, Lynda. 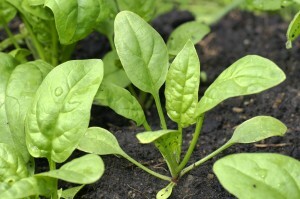 “Curbing the sweet cravings: Clinical trial success for spinach extract leads to EFSA application.” Nutraingredients.com. 19 March 2014.